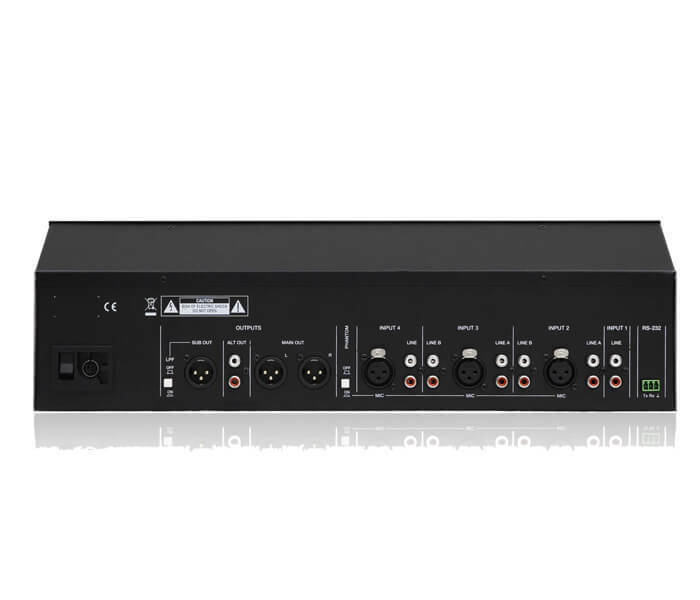 eCOMPACT4BT is a desktop and 19" rackmount 4-channel mixer with Bluetooth® for professional installation. Simple to operate, suitable for both experienced and novice users. 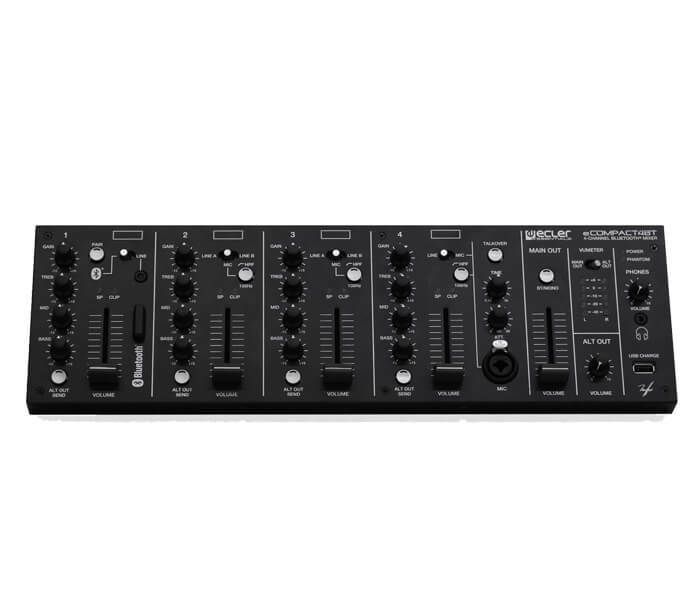 Features 4 microphone inputs, 6 stereo line inputs, USB charging port, Bluetooth® wireless connection and a mini-jack input for external devices. All microphone inputs have a switchable high-pass filter. 3-band tone control and ALT Send (sub-mix channel) on all channels. Universal external power supply with interchangeable connectors (American, European, British and Chinese).